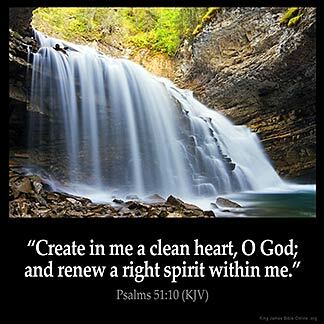 Psalms 51:10 — "Create in me a clean heart, O God; and renew a right spirit within me." 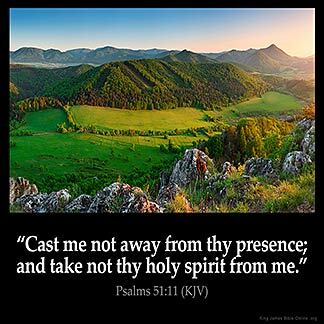 Psalms 51:11 — "Cast me not away from thy presence; and take not thy holy spirit from me." 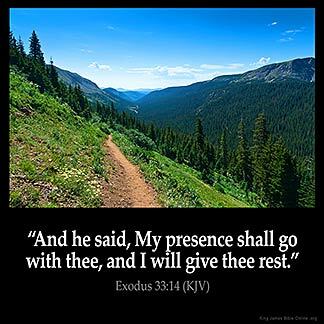 Psalms 51:12 — "Restore unto me the joy of thy salvation; and uphold me with thy free spirit." 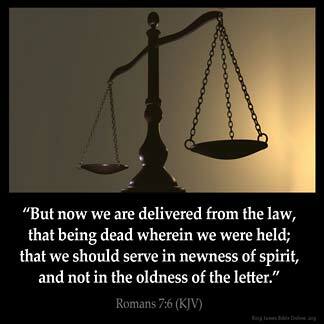 Romans 7:6 — "But now we are delivered from the law, that being dead wherein we were held; that we should serve in newness of spirit, and not in the oldness of the letter." 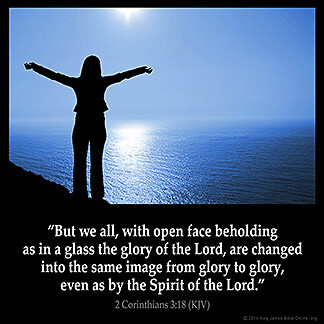 2 Corinthians 3:18 — "But we all, with open face beholding as in a glass the glory of the Lord, are changed into the same image from glory to glory, even as by the Spirit of the Lord." 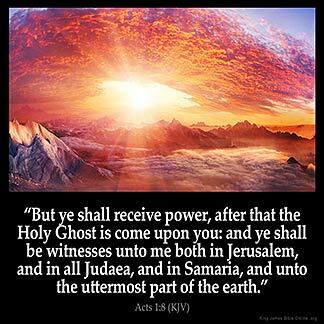 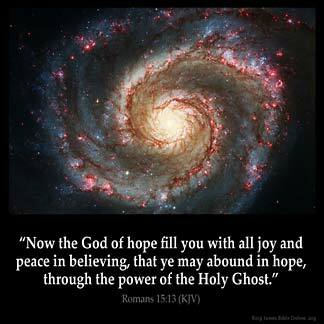 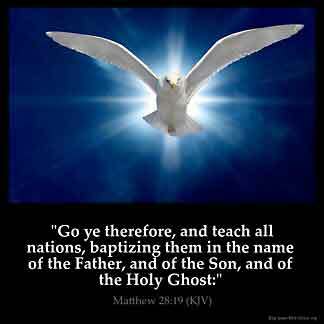 Acts 1:8 — "But ye shall receive power, after that the Holy Ghost is come upon you: and ye shall be witnesses unto me both in Jerusalem, and in all Judaea, and in Samaria, and unto the uttermost part of the earth." 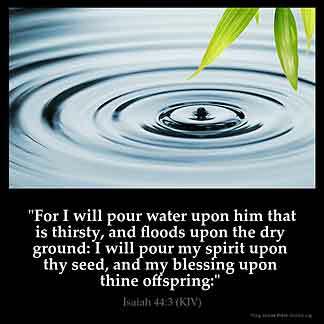 Isaiah 44:3 — "For I will pour water upon him that is thirsty, and floods upon the dry ground: I will pour my spirit upon thy seed, and my blessing upon thine offspring:"
1 Thessalonians 1:5 — "For our gospel came not unto you in word only, but also in power, and in the Holy Ghost, and in much assurance; as ye know what manner of men we were among you for your sake." 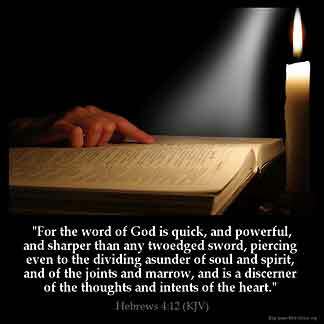 Hebrews 4:12 — "For the word of God is quick, and powerful, and sharper than any twoedged sword, piercing even to the dividing asunder of soul and spirit, and of the joints and marrow, and is a discerner of the thoughts and intents of the heart." 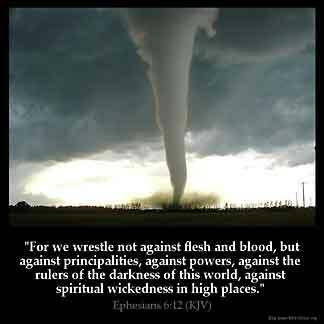 Ephesians 6:12 — "For we wrestle not against flesh and blood, but against principalities, against powers, against the rulers of the darkness of this world, against spiritual wickedness in high places." 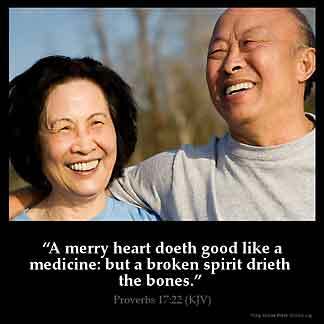 Proverbs 17:22 — "A merry heart doeth good like a medicine: but a broken spirit drieth the bones." 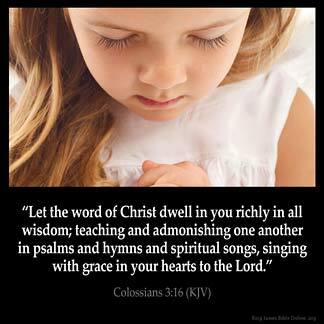 Colossians 3:16 — "Let the word of Christ dwell in you richly in all wisdom; teaching and admonishing one another in psalms and hymns and spiritual songs, singing with grace in your hearts to the Lord." 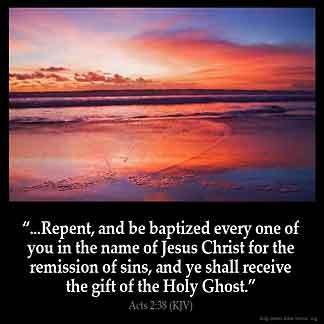 Mark 14:38 — "Watch ye and pray, lest ye enter into temptation. 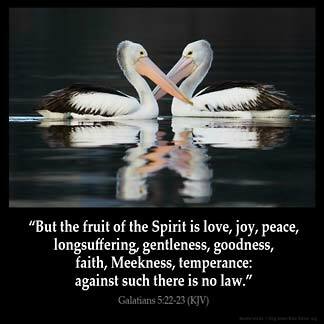 The spirit truly is ready, but the flesh is weak." 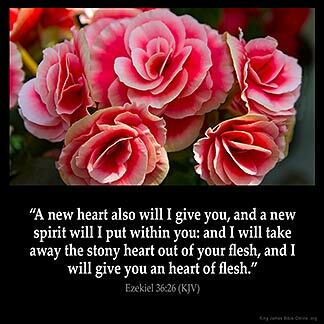 Ezekiel 36:26 — "A new heart also will I give you, and a new spirit will I put within you: and I will take away the stony heart out of your flesh, and I will give you an heart of flesh." 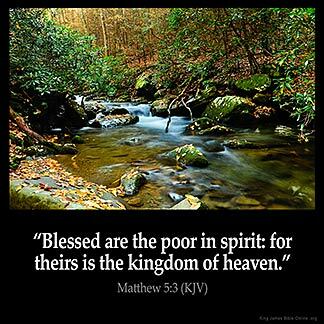 Matthew 5:3 — "Blessed are the poor in spirit: for theirs is the kingdom of heaven." 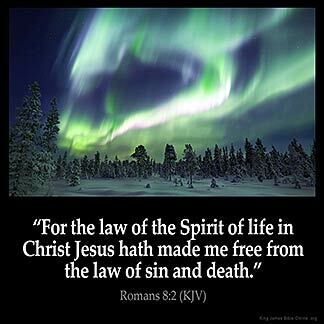 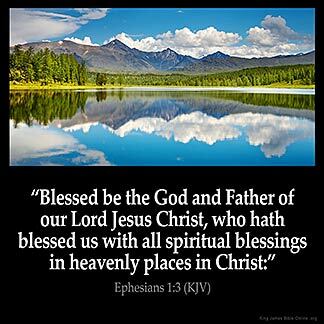 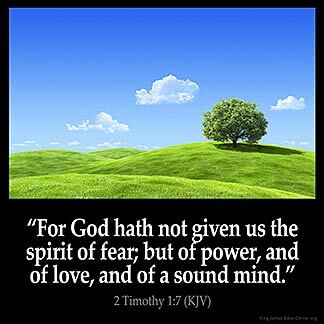 Ephesians 1:3 — "Blessed be the God and Father of our Lord Jesus Christ, who hath blessed us with all spiritual blessings in heavenly places in Christ:"
Romans 8:2 — "For the law of the Spirit of life in Christ Jesus hath made me free from the law of sin and death." 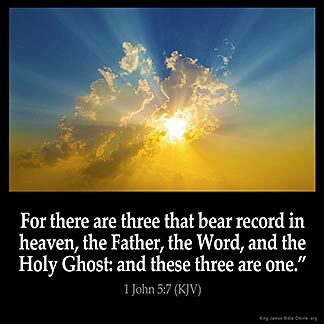 1 John 5:7 — "For there are three that bear record in heaven, the Father, the Word, and the Holy Ghost: and these three are one."